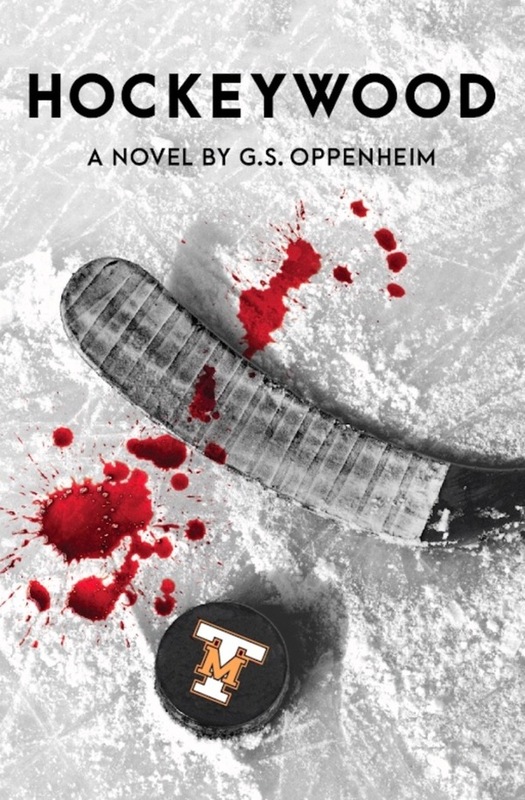 Hockeywood is a suspenseful thriller of a book about hockey and family. The Cortez family has hockey in their DNA with NHL ties stretching back a century. Tomas coaches the long-suffering Toronto Mounties. His oldest son Mark was a #1 overall draft pick and one of the best prospects in NHL history. His middle son Ray, AKA Hockeywood, just retired from the L.A. Coronas as one of the great players of his generation. When Tomas is diagnosed with terminal cancer, Ray decides a comeback is in order to help his dad win the Stanley Cup once before he dies, but on the eve of the Final, two thugs threaten to kill Ray if the Mounties win. Now with the hopes of a city and the dreams of a father riding on his efforts, Ray must decide whether to cave to the threat or fulfill his promise. $1 from every sale of Hockeywood goes to the charity End Brain Cancer to find research to rid the world of this menace. $1 from every sale also goes to Echoes of Hope, the charity founded by Luc and Stacia Robitaille that helps remove obstacles so that homeless and at-risk youth can reach their full potential. Hockeywood is available below in paperback and digital editions. More Events to Come. Check back here, facebook.com/hockeywoodnovel, and twitter.com/hockeywoodnovel for more. 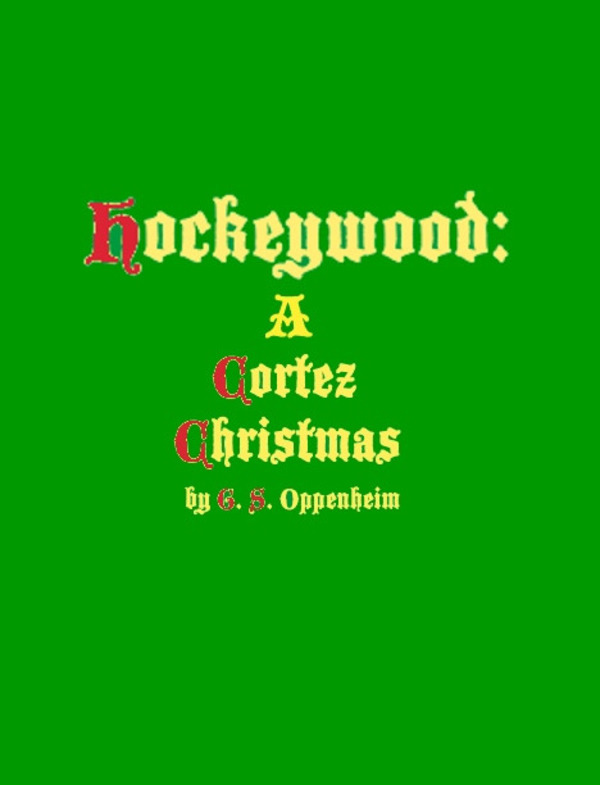 My love to hockey inspired me to write "Hockeywood"
"Hockeywood" takes its name from the nickname of its narrator and protagonist Ray Cortez. Hockey was written into Ray's DNA; he was descended from generations of hockey royalty. His great-great-grandfathers had played together with Toronto in their inaugural season of the NHL a century ago. His older brother Mark had been a first overall draft pick in the early '90s. His father Tomas had a venerable coaching career stretching back 25 years, the last six as head coach of the iconic Toronto Mounties. Ray has only recently retired from being the greatest hockey player of his generation, but the decision to hang up his skates had never sat well with him. Maybe that was why when he heard the news of his father's terminal cancer diagnosis, he was so quick to suggest a comeback in a desperate effort to help his dad achieve his dream of winning the Stanley Cup before he died. The story takes a dark turn on the eve of the Stanley Cup Final when two thugs accost Hockeywood and tell him that if the Mounties win the Cup, they're going to kill him. Confronted by his own potential demise, Hockeywood must decide whether to fulfill his filial obligations and face down his own death or betray his family and team and suffer ignominious and humiliating defeat, but go on to live a long and happy life. Like hockey's version of Achilles he must choose: glory and death or infamy and life. Sunday March 23, 2018, 8:20 AM: I will be appearing on KING 5 Morning News in the 8:00 hour to promote Hockeywood and talk about self-publishing. PITTSBURGH, PENNSYLVANIA Wednesday, July 11, 2018, 7:30 PM: The Big Idea Bookstore in Pittsburgh, PA. The Big Idea is located at 4812 Liberty Ave. Pittsburgh, PA 15224. I will be there for a Hockeywood reading. It's free to come hang out and I will of course have copies of Hockeywood on hand. WEST CHESTER, PENNSYLVANIA Thursday, July 12, 2018, 7:00 PM: Ice Line Quad Rinks just west of Philadelphia, PA.
TORONTO, ONTARIO Monday, July 16, 2018 - Thursday July 19, 2018: I will have a table set up at the Delasalle College School Arena, where Toronto's Downtown Men's Hockey League plays the majority of its games, selling copies of Hockeywood and talking pucks. Whether you're in the league or not, you're more than welcome to come on out! CALGARY, ALBERTA Saturday, July 28, 2018, 1:00 PM - 3:00 PM: Cafe Books in Calgary, AB will be playing host to me for a reading in the Canadian Rockies on what should be a beautiful weekend afternoon. I'm looking forward to spending the afternoon talking pucks with the hockey fans of Calgary. I will have copies of Hockeywood on hand for purchase. Cafe Books is located at 826 Main St. #100, Canmore, AB T1W 2B7. I'm participating in this year's Word on the Street Festival and will be in attendance all day long with copies of Hockeywood on hand. As always, every purchase benefits the charity End Brain Cancer.